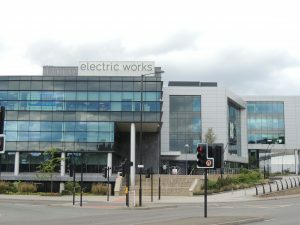 Fast-growing Sky Bet is investing £3.5million to take the whole of the first floor at the Electric Works in Sheffield. The firm employs 115 at the site on Sheaf Street and is due to sign a five-year lease for the expanded space, which will have room for 160 people. Sky Betting and Gaming opened in Sheffield in 2015 and this is the third time it has taken on more space in the Electric Works following rapid recruitment. Simon Ince, the company’s director of international technology, said: “We initially looked to Sheffield to help us meet our talent needs in terms of building a diverse and highly skilled workforce and this investment evidences the success of our growth plans. The Sheffield digital hub is home to the teams that design and build the platforms and technology behind the Sky Bet's international products, such as Sky Bet Italia, as well as components of their UK products.